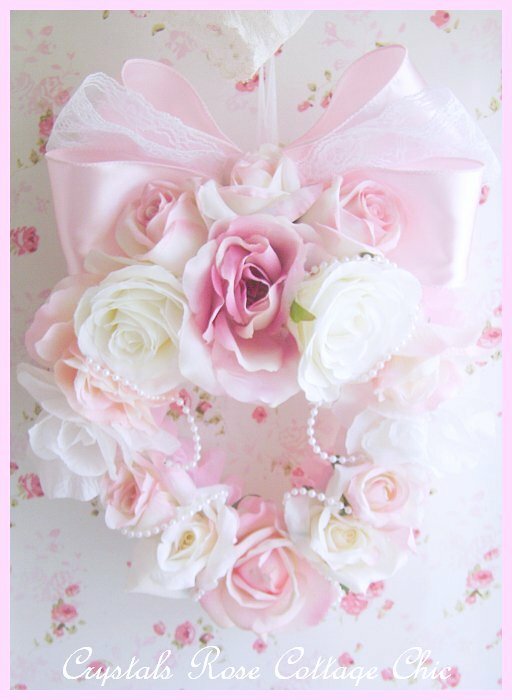 Beautiful, shabby chic, heart shaped wreath filled with roses, touches of pearls and crowned with pink satin, tulle and lace bows. 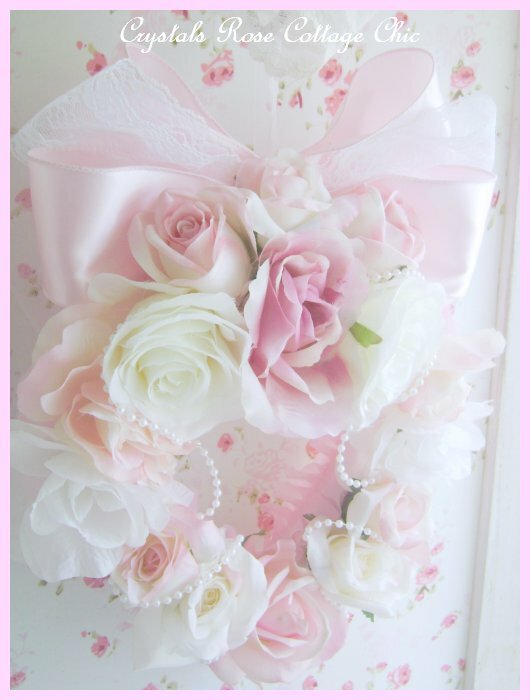 I've even added a lovley, shabby pink, chiffon ruffle to the sides! 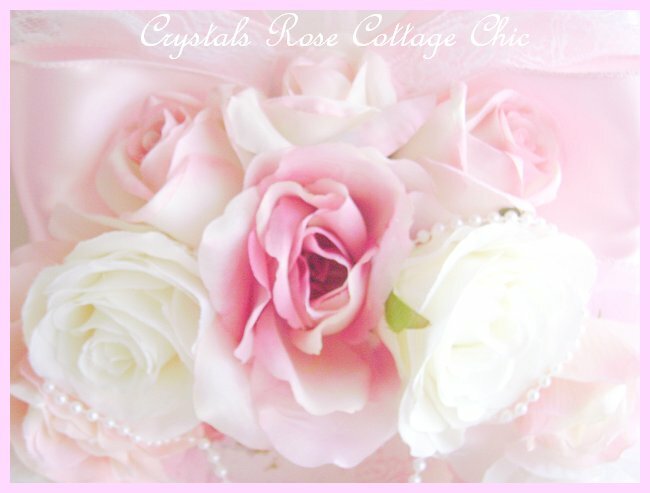 Perfect for Valentines Day or to add a touch of Shabby Pink, Victorian romance to your homes decor! Measures 14" x 10".